This Stuffed Acorn Squash is a beautiful fall dish. 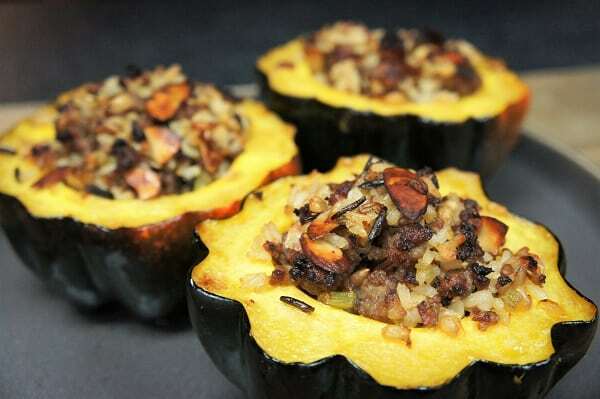 Acorn squash is stuffed with flavorful sausage and toasted almonds that’s combined with a wild and brown rice mix. Then it’s baked until the squash is tender and the stuffing is golden brown. 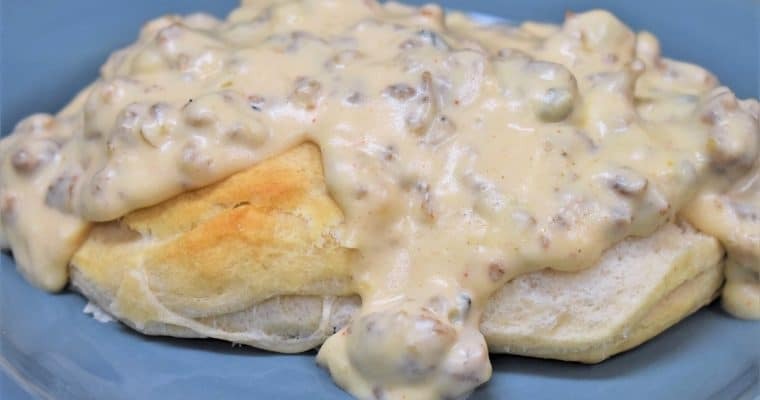 A lovely dish to add to your holiday celebrations, enjoy! Wild rice and mixes usually take a while to cook, so start it first. Plus it will keep just fine after it’s done. Slice both ends so they sit flat. Don’t slice off too big a piece so that the flesh stays intact. A thin slice will do it. Cut each squash in half so that each half has a cut off end. Scoop out all of the seeds using a spoon. Place the acorn squash on a large baking sheet that’s been lined with parchment paper, drizzle with a little olive oil and a generous pinch of salt. Bake the acorn squash for 20 minutes. Place the almonds in a non-stick skillet over medium heat; cook gently for about 5-6 minutes until the almonds are lightly golden. Shake the skillet often and keep an eye on the sliced almonds so they don’t burn. Remove the skillet from the heat and set aside. Heat 1 tbsp. olive oil in a large, deep skillet, or pot over medium heat. Add the onions and celery, cook approximately 5 minutes until the onions are translucent, stirring frequently. Add the garlic, cook for 1 minute, stirring frequently. Raise the heat to medium-high and add the sausage. 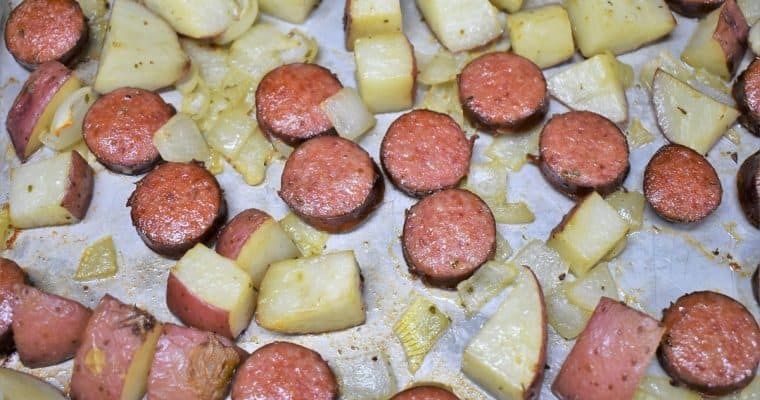 Cook, about 5 minutes to brown, stirring frequently and breaking up the sausage pieces with a wooden spoon or spatula. Lower the heat to medium-low and add the sliced almonds, stir to combine and continue cooking for 5-6 minutes to cook through, stirring frequently. Remove the sausage mixture from the heat; allow it to cool a bit while the rice finishes cooking. Combine the rice and sausage mixture, set aside. Add a generous amount of the wild rice and sausage mixture in each half of the acorn squash. Return them to the oven and bake another 20 minutes or until the acorn squash is nice and tender. Use a spatula to serve on individual plates so the bottom of the acorn squash doesn’t give out.